Up until recent years, women have been seen as homemakers, with the old-fashioned, traditional role in mind. However, women are breaking out now and outperforming their male counterparts in many roles and industries. While cooking is certainly not a new activity, many women have flourished in this field, and have even changed the game, so to speak, for the entire industry. We’d like to honor a few of them for their ground-breaking efforts, so read on! One of the most well-known female chefs, Child discovered her love of French cuisine while attending Le Cordon Bleu in Paris. 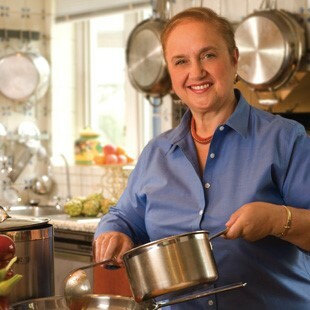 After writing 19 books, including Mastering the Art of French Cooking, her first television show, The French Chef, debuted. This show was the most successful cooking show of its time (perhaps even to-date! ), and brought French cuisine to the average American table. Waters is known as the inventor of “California Cuisine”, with her love of fresh, local ingredients. 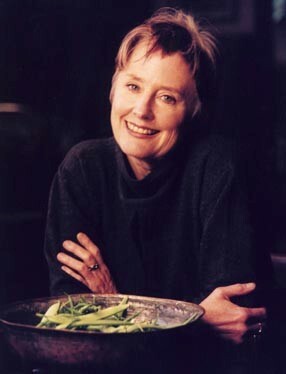 In 1971 she founded Chez Panisse in Berkeley, CA. She wrote 12 food related books, and was the first female chef to win the James Beard Award for Outstanding Chef in 1992. That same year, her restaurant Chez Panisse won Best Restaurant. Bastianich arrived in New York City in 1958 after having escaped from Pola, Istria (present day Croatia) when she was just 11 years old. About 10 years later, her family opened an Italian restaurant called Buonovia, which means “On the Good Road” in Queens. When they saw how successful the restaurant was, they decided to open a second restaurant in Queens, Villa Secondo. It was here that Lidia gained the notice of food critics, going on to give live cooking demonstrations, which lead to her career as hostess on her own TV cooking show. Years later, the family opened a third restaurant, Felidia, in Manhattan, where Bastianich became one of the first female chefs to receive a three star review. Cristeta Comerford moved from the Philippines to the United States at just 23. 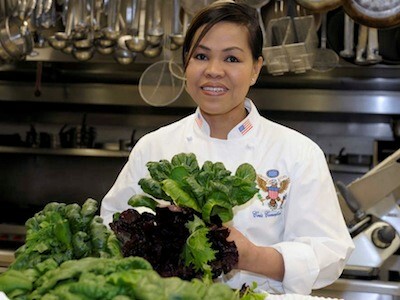 She was recruited to be a chef during the Clinton White House, and soon became the first female executive chef of the White House. She still holds this position to this day. In early 2015, Comerford partnered with Bobby Flay on Iron Chef America, beating both Emeril Lagasse and Mario Batali. 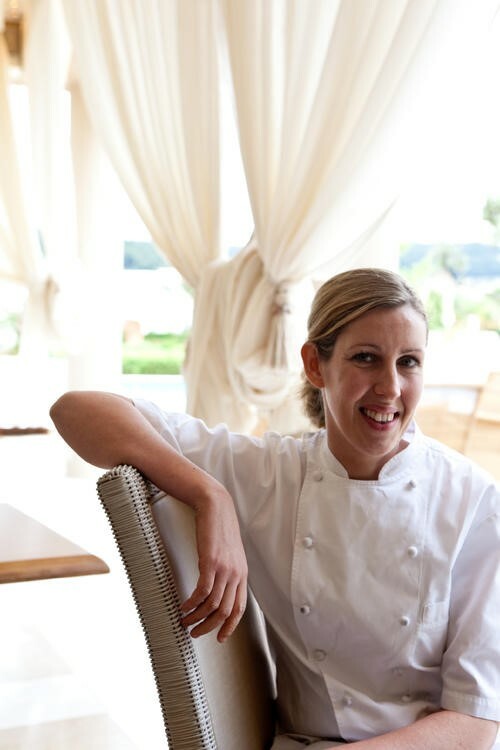 Head chef at Restaurant Gordon Ramsay, Clare Smyth was Britain’s first female chef to run a restaurant with three Michelin stars. Though she admits that restaurants tend to be “testosterone-driven,” Smyth didn’t let that affect her drive and perseverance to be successful. She is proud that as a female chef she can be collaborative and add a feminine touch to her cooking, while being tough enough to get things done in her kitchen. Her award winning South Kensington restaurant is proof of her passion and positive attitude. 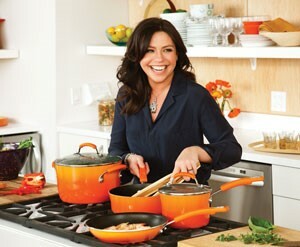 Rachael Ray is a TV cooking expert who offers daily lifestyle advice. She has created a very successful career as a TV personality, in addition to writing several best-selling cookbooks, as well as being a magazine editor. Her simple homemade 30-minute recipes are loved around the world, inspiring countless families to enjoy delicious and healthy meals. Her meals are designed to be easy, quick and low-cost. 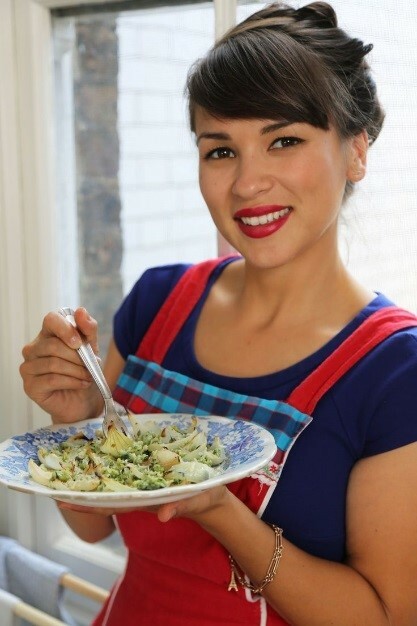 Rachel Khoo is the epitome of a game-changer. She is young, creative, and unique in her approach to the industry. Khoo uses social media and out-of-the-box thinking to differentiate herself among her colleagues, putting her videos on YouTube and adding her own Malay-Chinese-Austrian-British spice to her food. She moved to Paris, where she opened a restaurant in her own flat, calling it the Little Paris Kitchen. Rachel used her knowledge of social media, along with her passion and creative style of cooking to become a worldwide sensation, and an overnight success. The Food Network star was famous even before she was ever on TV. Deen, along with her sons Jaime and Bobby, owns and has operated the restaurant Lady & Sons in Savannah, GA, which serves traditional southern fare and was named “International Meal of the Year” by USA Today in 1999. Paula did go through some rough times, though, losing both parents before the age of 19, and ending up with a severe case of agoraphobia after her divorce. 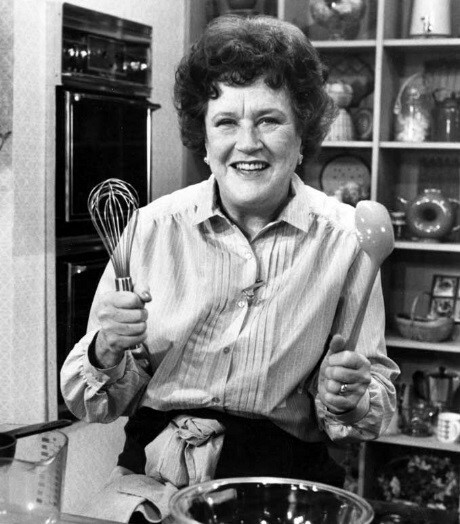 She was, however, able to remain a successful cook, though, and with her famous love of all things butter, went on to become a Food Network Celebrity. Elizabeth Falkner graduated from art school in 1989, but taking a job as a chef at Café Claude in 1990 took her off the beaten path and changed her career trajectory. She opened her first restaurant, Citizen Cake, in San Francisco in 1997, which she still owns and is the executive pastry chef. In addition to that, she is co-owner and executive chef at Orson. 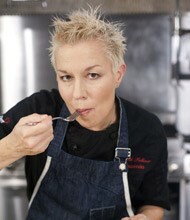 Falkner is known for her platinum, spiky hair and her creative desserts, and is involved in Les Dames d’Escoffier (a world-wide organization of professional women leaders in the culinary industry), and Women Chefs and Restauranteurs. Do you know of any other female chefs that have left a mark on you or your industry? Let us know in the comments below!